It’s been a long time coming for this issue. Because the Mt. San Antonio College Writer’s Weekend was right at the tail end of our normal submission period, I decided to extend the submission until May 5, about four weeks longer! I think you’ll be excited to read this issue. We have so many good works here. I’m always surprised by the quality and how well each story and poem comes to fit together in each issue. This is a poem-heavy issue. We have some really good quality fiction and some good non-fiction as well, but the poetry this time was absolutely solid. So many good poets! I encourage you to take your time to read through this issue. Much of the material is heavy, and there are some really great light pieces throughout to lift you from some of the darker places we explore. This is the last issue that I’ll be primarily working by myself. 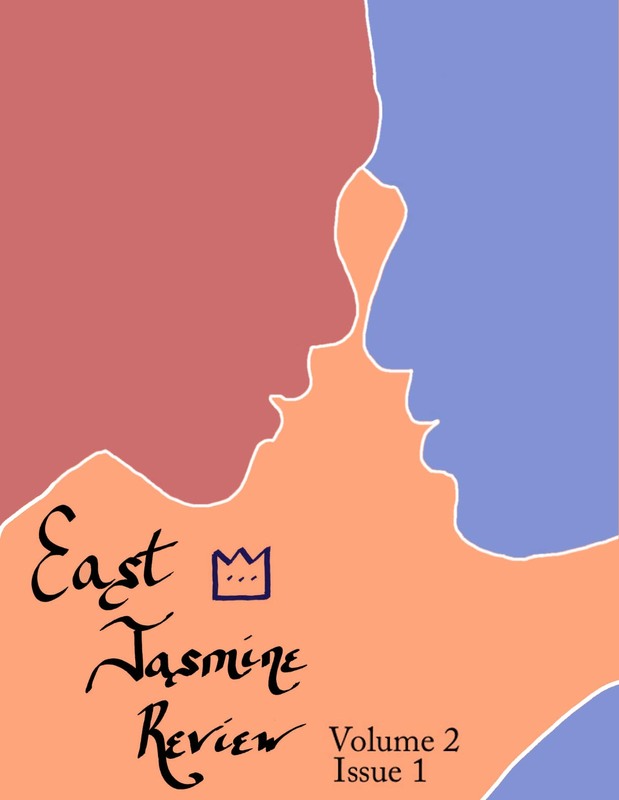 I’ve reached out to several individuals within my diverse range of writing connections to pull in some great talent to help with East Jasmine. Look under “About Us” with “Editorial Staff” come June to see some new faces. I think you’ll agree they will add something great to our publication. That all said, I hope you enjoy the latest issue of East Jasmine Review. We’ve got some really awesome things coming and some really awesome stuff going on right now. If you enjoy this issue, please take a look and picking up some of our older copies, telling your friends, and, if you are feeling the gift of the muse, you can always send work our way! Purchase link at the bottom of the page.